It’s a rainy night in Georgia. And it’s rainin’ all over the world. 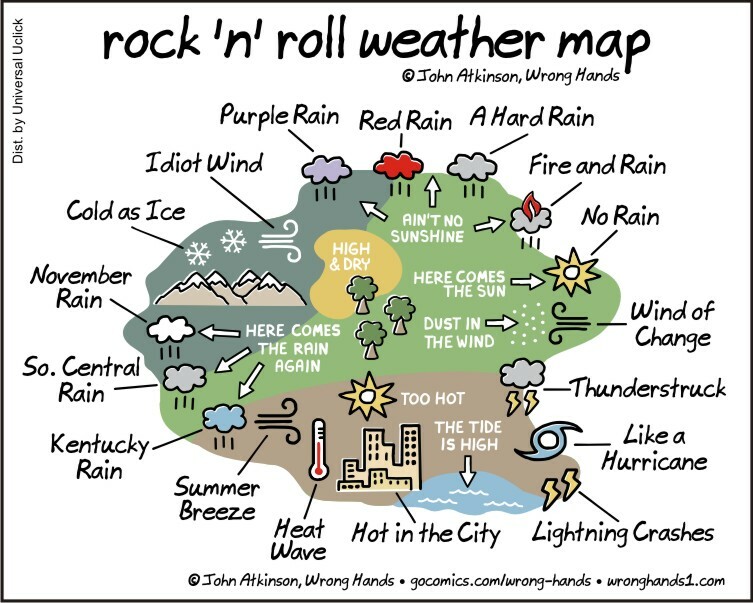 it does seem like there’s an awful lot of rain, doesn’t it? You just made me smile on a crappy morning. Ever Seen it Rain on a Sunny Day? Put a nice smile on my face. Raindrops keep fallin’ on my head..